Fans in the bathroom are desirable, especially when the bathroom has a window that cannot be opened. It is useful for removing unwanted odors as well as excessive moisture from one taking a hot shower. There're several different options available for various bathroom fans, and a few that are more suitable than others in various circumstances. The easiest form of ventilation is to open up a window. When you have a working window, you could supplement that with a window fan. 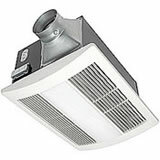 While the standard box fan will make a difference in removing the bad odor, they are quite cumbersome. A few fans that are specifically designed for ventilation utilize a string of smaller fans that will form a seal in your bathroom window. 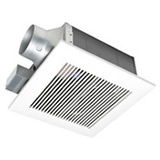 A permanent answer to good ventilation in the bathroom is having a complete room fan installed that will vent the air to the outside of the home. The majority of these particular systems are typically controlled with the light switch, so that they will not take up any additional outlet space. 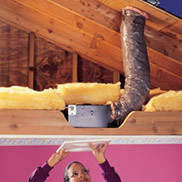 A decent fan for the bathroom will change out the air in the from fog rather quickly once the fan is turned on. Additionally, the reduction of moisture in the bathroom will prevent the growth of fungi and various types of mold from occurring in your bathroom even prolonging the life of wallpaper and /or pain that would typically be vulnerable to moisture damage. 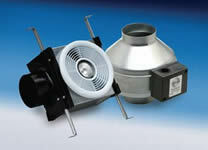 Before deciding on a fan, listen to one first, as some could get rather noisy. It is also a smart idea to speak to the sales staff to see how much electrical power that you could anticipate from a particular model fan while it's running. Before you install the bathroom fan or begin any form of electrical work, make certain that you have the correct permits. It is illegal if you fail to have these types of permits, and it may quash your homeowner's insurance policy. If you aren't capable or comfortable installing the bathroom fan on your own, hire a competent professional to complete the job for you. Many changes occur and will be dictated by the standard electrical code. Your service professional will be quite familiar with these various codes. If you are planning to do the work yourself, make certain that the vents of the fan to the outside is clean and free of any water buildup before beginning the installation process of the new fan. A bathroom system that leaks water vapor into the attic may cause mold and rot that you will not notice for several months. The hassle and price of fixing this type of damage will far surpass any benefits of doing the job yourself. 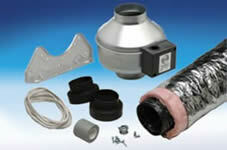 Choose from These Popular Styles or Shop The Entire Collection of Bathroom Ventilation Systems at Low Prices!